Steam rises toward a starry sky from the surface of the hot water you're soaking in, silence all around except for wind in the trees, a flowing stream, or perhaps ocean waves crashing far below. The aches and pains from hiking, skiing, or even just a long week at the desk fade away as the hot water eases your muscles and soaks away stress. Take a deep breath of slightly sulphurous misty air (or, maybe a swig of beer, too), and exhale: This is sublime relaxation. Fortunately, if you live in the Bay Area, you don’t have to travel far to find this kind of nirvana: One of the few upsides of living in a seismically active region is that hot springs are right in our backyards. Local hot springs offer a wide range of experiences, from luxurious resort-like experiences, to end-of-the-road hippie hangouts, to undeveloped wilderness experiences. No matter which suits your fancy, a visit is the perfect way to escape the winter chill. Ditch your to-do list, your phone, and maybe your clothes, and plan a winter retreat to some of the best hot springs in Northern California. Next to the Steep Ravine Campground in Marin County, tucked into the boulders at the base of the cliffs, these are the closest hot springs to San Francisco—and some of the most dramatic. Few experiences are more magical than soaking in warm water just out of reach of the cold water of the Pacific Ocean. The pool is only accessible for about two hours during a minus tide; try to visit any other time and you will find only frigid waves crashing against boulders. If the tide is right, the geothermal vents can be accessed by a short walk across the beach from Steep Ravine, or by descending the steep trail from the bluffs down the hot spring grotto. Most people opt to soak in the grotto, but if the tide is low enough, you can dig your own pool in the sand. The Marin Tidal Hot Springs are generously maintained by a dedicated group of neighbors, so be sure to be respectful of the regulars and thank them for their efforts. Just two hours north of San Francisco, 150-year-old Vichy Hot Springs Resort is a designated California Landmark. Originating from six miles beneath the earth’s surface, the springs here are famous for their carbonated, restorative waters with notably high mineral content. The high CO2 in the water reportedly dilates your capillaries for added relaxation, and guests are encouraged to drink water from the source to cure a variety of ailments. A visit to these hot springs is an excellent addition to a trip to Mendocino’s wine country. Located on a 700-acre reserve with hiking trails and a waterfall, the resort offers rooms and cottages for accommodation and a range of mineral baths, soaking pools, and a swimming pool. Set amidst rangelands, open fields, and steep hills rising up from the Central Valley, Mercey feels worlds away from the misty greenery of the Bay Area, although it's just a 2.5-hour drive. Equally popular among gray-haired, New Age-y types, young, tattooed Burners, and couples with kids in tow, Mercey Hot Springs makes for a great overnight trip. The small resort offers a number of individual hot tubs and a large pool—some require a swimsuit; others are clothing optional—plus lodging, camping options, and a sauna. Take a late night soak in the individual tubs at Mercey for solitude and amazing stargazing. There are a lot of hidden gems in Mendocino County, and Orr Hot Springs is one of the best. Tucked away in the mountainous redwoods of the Mendocino Coastal Range, Orr Hot Springs—a charming little resort—promises tranquility. The grounds are located at the headwaters of the Big River, which feeds the springs. Lodging options include rooms, cabins, yurts, and campsites. Most visitors opt to go sans clothing to soak in the communal outdoor tubs, though there are also private tubs indoors, and a communal cooking space adds to the relaxed vibe. Don’t skip a soak in the rooftop stargazing tubs at Orr. The famous cliffside hot springs at Esalen are part of the historic Esalen Institute, founded in 1962 as the birthplace of the human potential movement and deeply steeped in tradition and ritual. 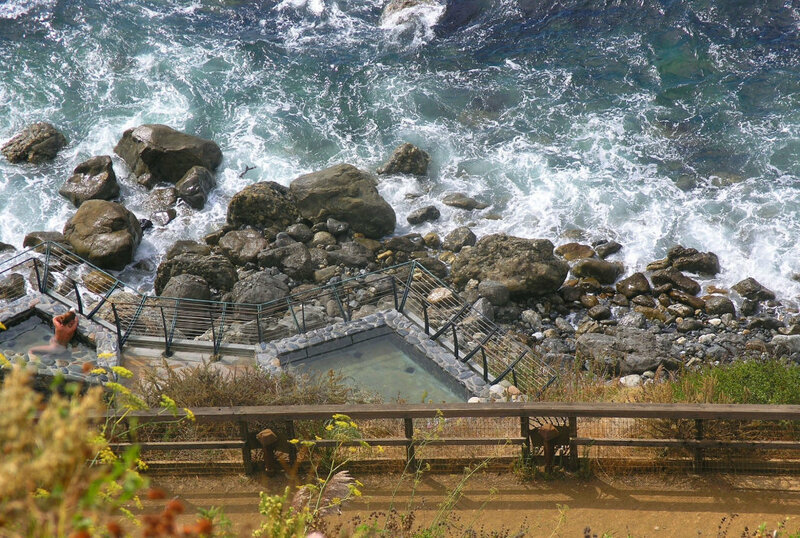 The two-level baths perch on the very edge of the cliffs above the Pacific Ocean, with nothing between you and the endless abyss of sky and sea. The hot springs on the coast of Big Sur, a mecca for outdoor lovers, trace their roots to more than 6,000 years ago, when the Esselen Indians and others used them for healing purposes. Nowadays, guests and soak in the outdoor and indoor pools, some of which are quiet and other silent. 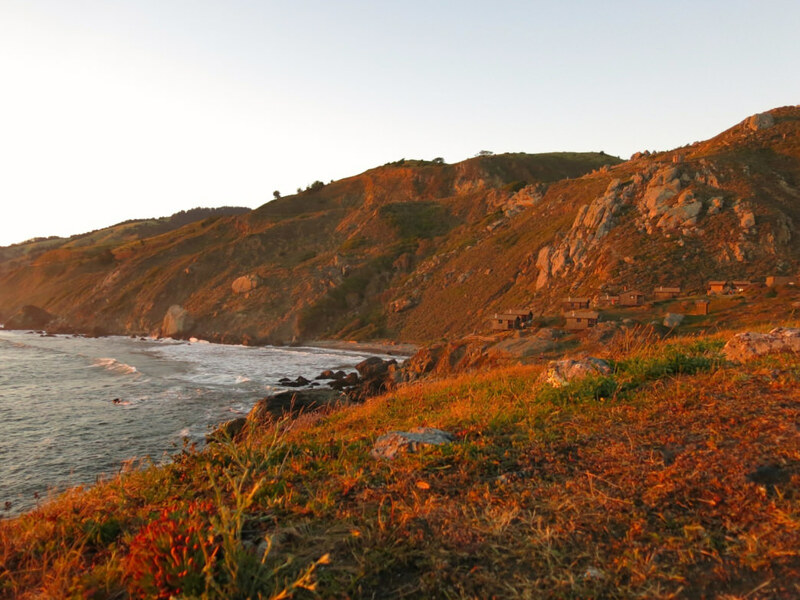 If you are lucky enough to be staying at Esalen, you can access the springs at almost any time of day. If you are not a guest of the Institute, the baths are open to the public by reservation between 1am and 3am (yes, that's am, not pm). Despite the hours, a visit to Esalen is a must for Bay Area hot springs enthusiasts; the cliff-top soaking experience above the waves is unmatched. 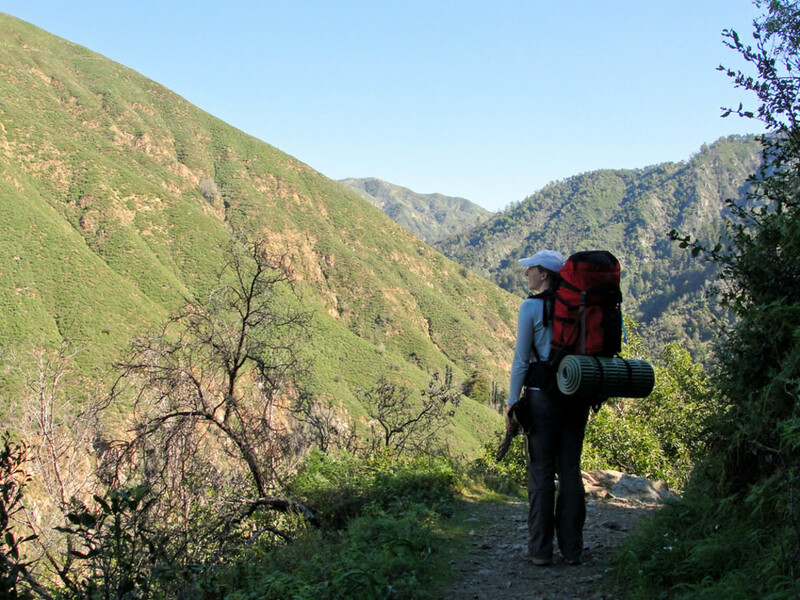 A favorite among hikers, Sykes Hot Springs is a quintessential Bay Area weekend backpacking trip. (Editor's Note: Sykes is currently closed due to the wildfires in Big Sur. Please respect the closure and hold off on a visit until it re-opens). Deep in the forest of the Ventana Wilderness, few things are more peaceful than soaking in the hot spring pools at Sykes. By the time you have hiked the 10 miles to reach the stone pools built alongside the Big Sur River, you’ve more than earned a long soak. 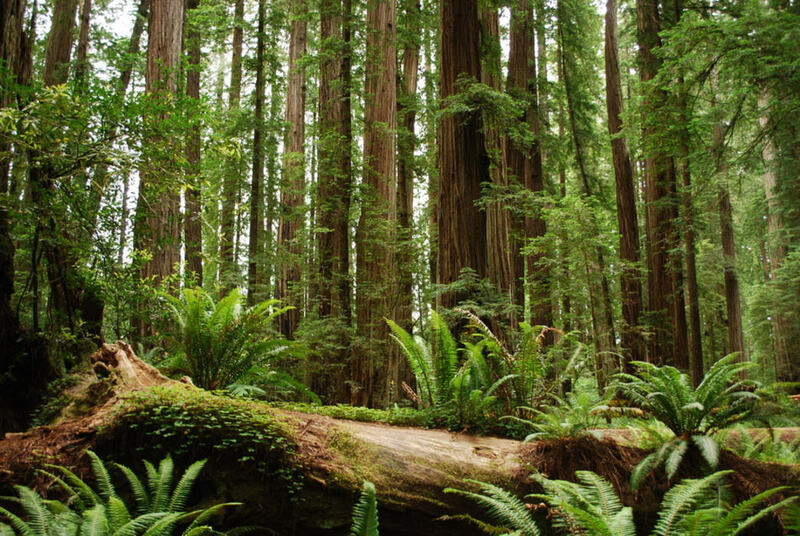 Reward your muscles and your senses in this idyllic location amongst the redwoods. To make a weekend out of it, choose from several backcountry camping options at Barlow Flat, Sykes, and Redwood Camp. The area around Sykes can be very crowded and is maintained by the efforts of volunteers, so consider visiting midweek and be sure to follow Leave No Trace policies and any other regulations that may be in place, and respect the serenity of the area around the springs. 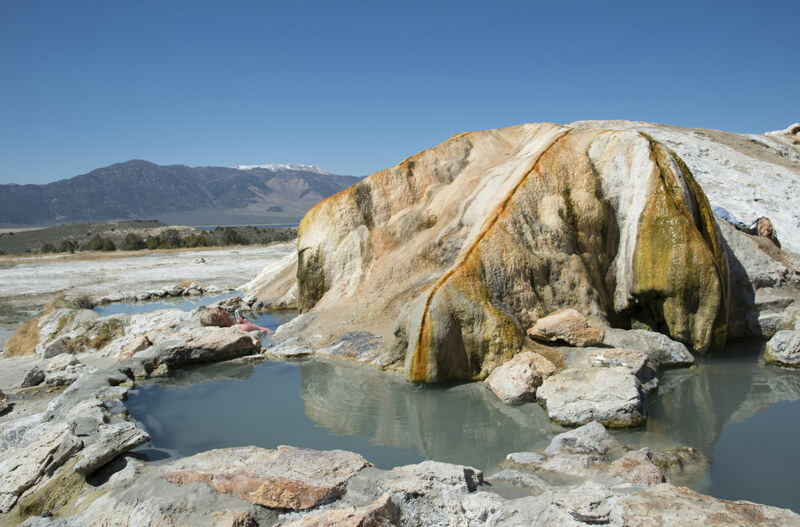 If you are willing to make the trek to the Eastern Sierra (or are already in the area), your number of amazing hot spring options increases. The mountain setting makes these springs some of Northern California’s most striking. However, access roads may be treacherous or closed during snowy conditions, and most camping options are closed for the winter season, making some destinations an easier trip in the spring. The five rustic tubs at Travertine Hot Springs are public and accessible in the winter off of Highway 395 near Bridgeport. The springs are named for the unique mineral formations that make it a bucket list destination. Soak at Travertine after a winter adventure, and enjoy an amazing view of the Sierra Range. Other Eastern Sierra favorites include camping and cabins at Mono Hot Springs and Wild Willy’s Hot Springs—known, as the name suggests, for its party scene.